New Melbourne Browncoats, Inc. | There is a giant pile of loot up for grabs at our Trivia Night on Friday! Tickets are still available but you better book soon! THIS is how you invite Nathan Fillion to visit your country! Browncoats of Poland FTW!! Check out the awesome in our Battle of the Geeks II Raffle Pack Numero Uno! There is a giant pile of loot up for grabs at our Trivia Night on Friday! Tickets are still available but you better book soon! 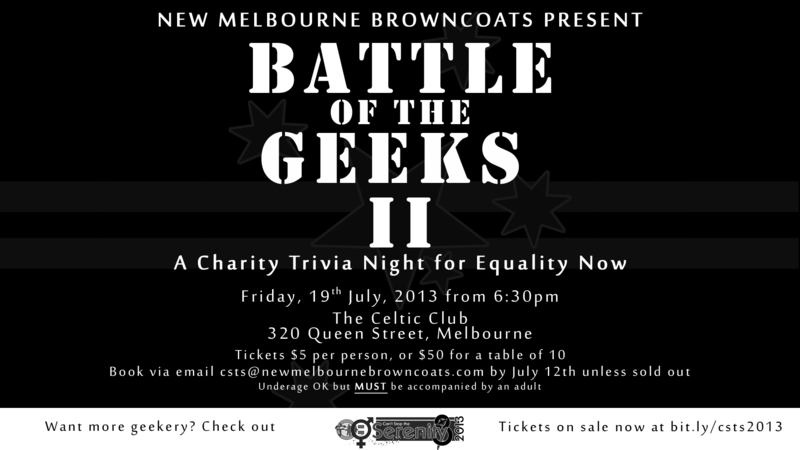 Are you still on the fence about getting your tickets to our charity Battle of the Geeks II Trivia Night on Friday? Need some more inspiration? How about this mighty pile of loot? We’re got over $1000 worth of prizes are up for grabs, thanks to our amazing sponsors and supporters! You could go home with autographs, collectibles and memorabilia just to name a few things! The prizes include Much Ado About Nothing double passes and posters, autographs from awesome sci-fi actors, posters from Doctor Who and The Big Bang Theory, Whedonverse comics (including some signed by Scott Allie! 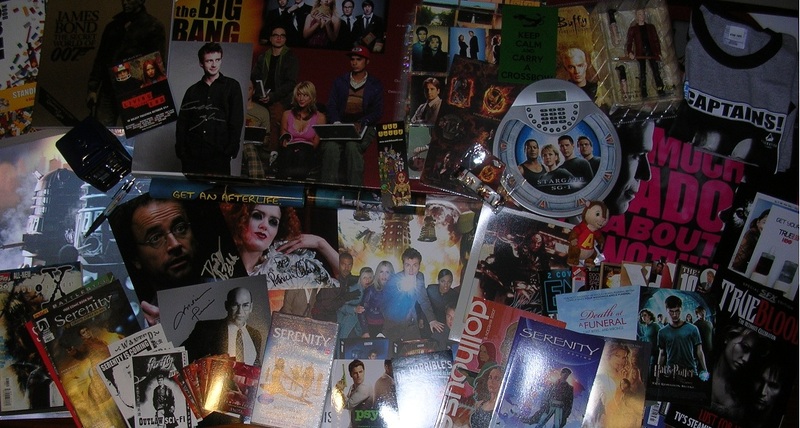 ), a TARDIS, Spike, trading cards and more! Some of these prizes require you to have a bit of expert knowledge, but others just require some moxy! And many of them will be up for grabs in our raffles! But you have to be there to have a chance! Join us for the Battle of the Geeks on Friday 19 July at The Celtic Club. Tickets are still available – just $5 per person or $50 for a table of 10!